Science Applications International Corp. has received design certification under a VMware partnership program for software-defined data center technology. SAIC said Tuesday it deployed an “active-active” configuration of its SDDC architecture using VMware’s automated deployment toolkit. 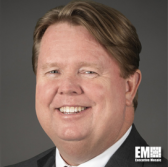 John Walsh III, senior vice president and general manager of SAIC’s information technology solutions market segment, said the partnership seeks to help customers address cloud adoption goals by integrating the SDDC tool and DTK. VMware evaluates the design of architectures from potential technology industry partners through the company’s Certified Partner Architecture program.